Paw Patrol is coming to Charlotte! 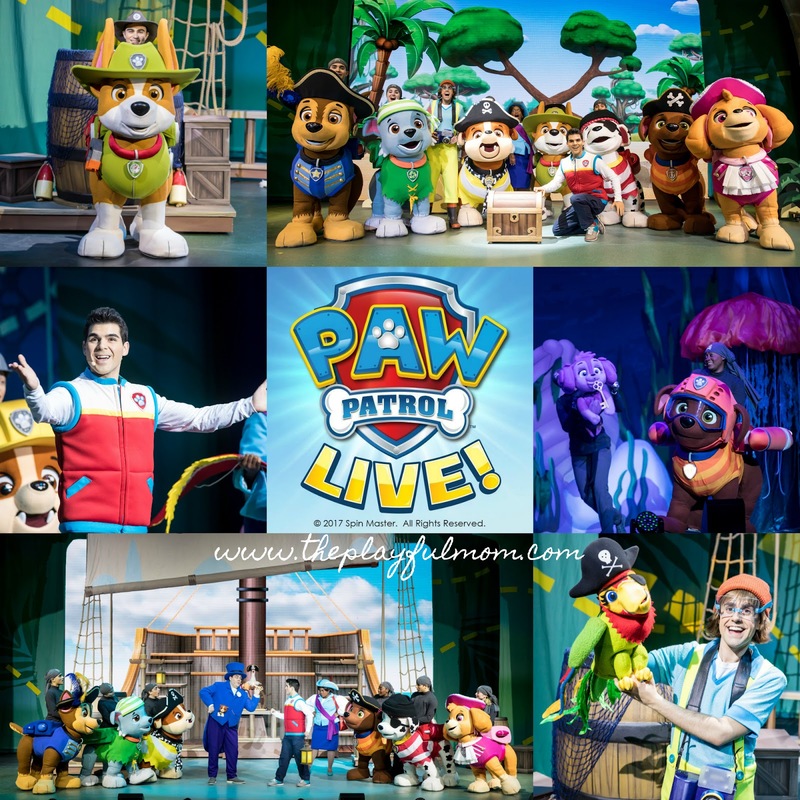 Ovens Auditorium will host PAW Patrol Live! "The Great Pirate Adventure" from June 22 to 24 with six performances. save Cap'n Turbot and discover a secret pirate treasure map that leads them on an epic adventure. the pups set sail to save the day. No job is too big, no pirate pup is too small! PAW Patrol Live! 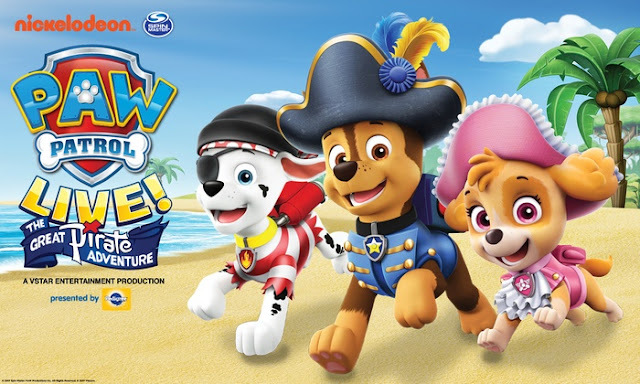 “The Great Pirate Adventure” includes two acts and an intermission, and incorporates an innovative costume approach to help bring the pups to life on stage as well as their vehicles and packs during the adventure. The performance is interactive, engaging audiences to learn pirate catchphrases, dance the pirate boogie and help the pups follow the treasure map and solve picture puzzles during their mission! 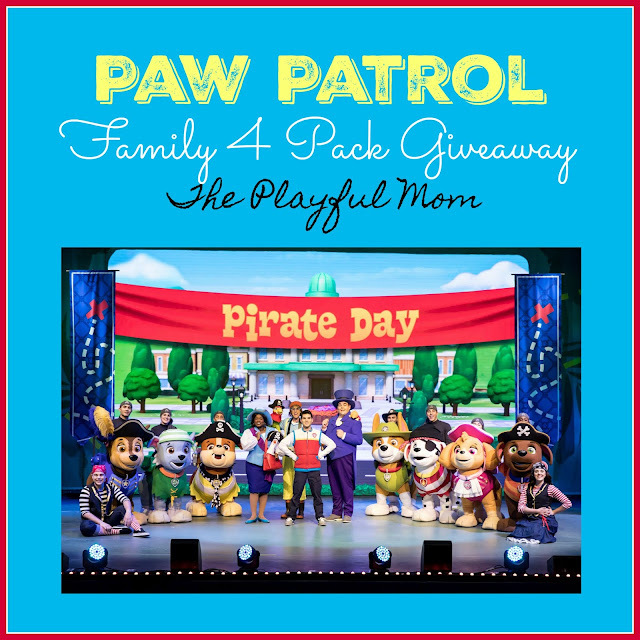 Friday June 22 6 p.m.
Saturday June 23 10 a.m., 2 p.m. & 6 p.m.
Sunday June 24 10 a.m. & 2 p.m.
As a special treat to The Playful Mom readers, I have a Family 4 pack of tickets to giveaway! To enter please list your favorite Paw Patrol Pup in the comments below! 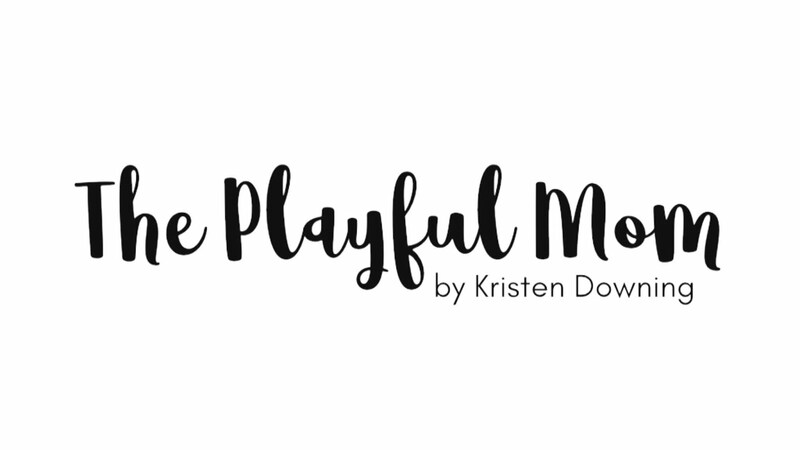 For extra entries share on social media (Twitter, Instagram or Facebook), be sure to tag @theplayfulmom in all of your posts! For more information, visit pawpatrollive.com, where fans can sign up to receive PAW Patrol Live! the tour by typing #pawpatrollive on social media. Isaiah says his favorite pup is Marshall! My boys love Marshall and Rubble! Tyler's favorite is Chase and Lauren' s favorite is Marshall. I'm not sure where my post went from the other day but my son loves Chase. His 3rd birthday is coming up at the end of the month and all he talks about is going to the show. I would love to surprise him with tickets!